Prof Xie has supervised over 50 PhD students and they are holding various positions in academia, industry and financial institutions. This book summarizes various concepts and results related to system ageing and dependence, an area of research I started to work on since I was a graduate student. Probability models for reliability analysis of software, hardware, distributed computing, Grid computing multi-state systems, are summarized. Almost all models related to Weibull distribution that is very useful in reliability and survival analysis are described in this book. Various methods using Quality Function Deployment technique for quality improvement and analysis are described with the emphasis on some more advanced methods. Several statistical models and techniques for the monitoring and control of high quality processes are presented in this book based on our recent research. Xie, M. (1991). Software Reliability Modelling, World Scientific Publisher, Singapore. Now a classic book that summarizes most of the models for software reliability analysis. Over 200 journal papers and 100 conference papers. 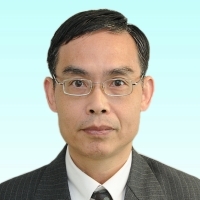 Prof Xie serves as editor, associate editor	and on the editorial board of over 15 international journals. He has served as conference chair in a number of conferences and delivered keynote speeches at many others. Prof Xie served as Program Manager for MSC(ISE) program for many years at National Univ of Singapore, and also as Associate Head (ISE) 2009-2011 there. He was Acting Head (SEEM at CityU) during fall 2011. Currently, he serves as Associate Dean (Internationalization) at College of Science and Engineering. Please contact Prof Xie with a resume for information about research positions and scholarships.